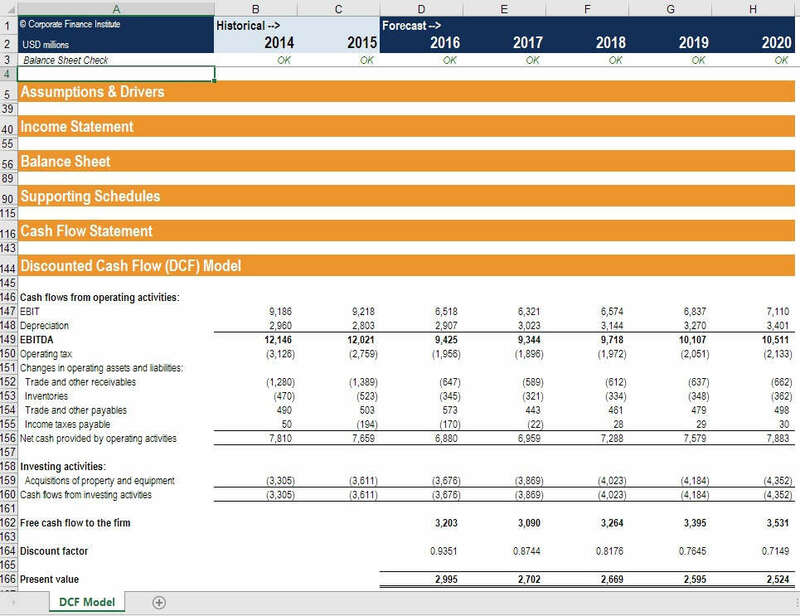 Download all of CFI's professional financial models and Excel templates. 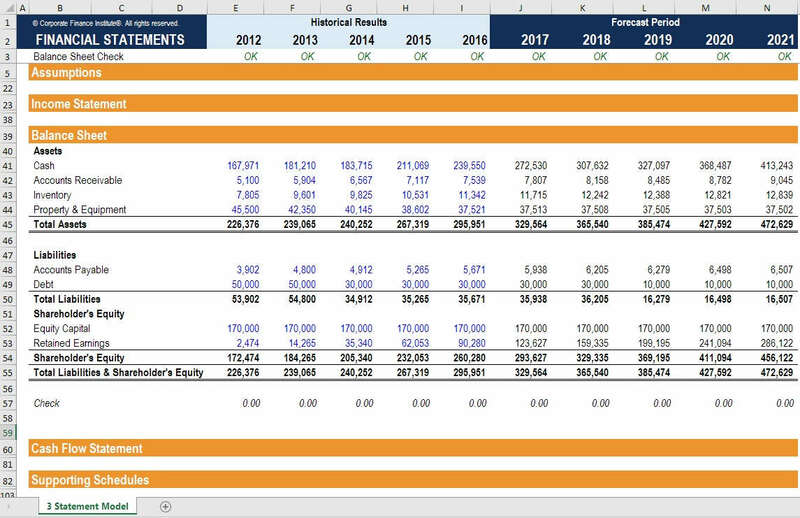 Templates and financial models to download include: 3 statement model, DCF model, budgeting / forecasting model, consolidation model, acquisition model, LBO model, M&A model, industry-specific financial models, comparable company analysis and precedent transaction analysis. The three financial statements are the foundation for all other models. 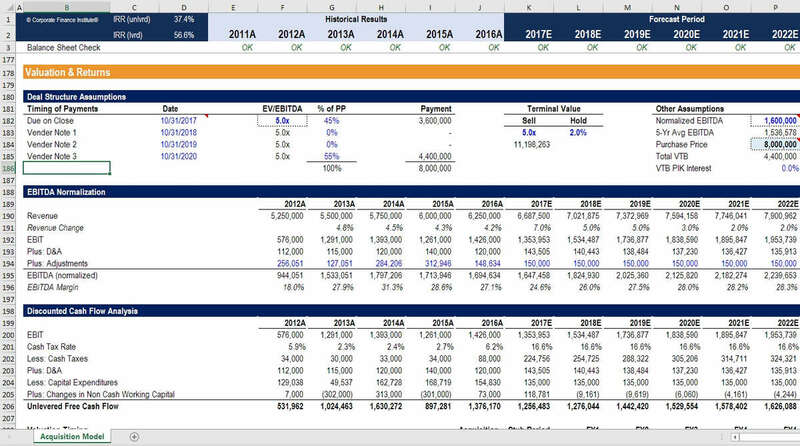 This spreadsheet includes an income statement, balance sheet, cash flow, supporting schedules and assumptions. 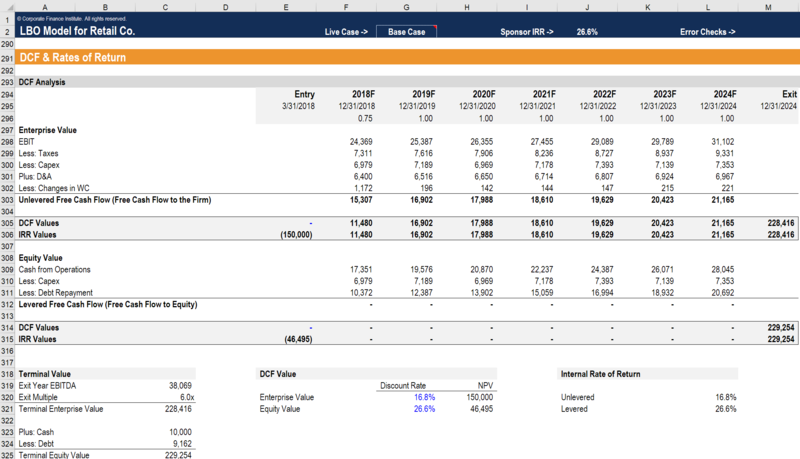 Discounted Cash Flow (DCF) is the main form of valuation used in corporate finance. This package includes various DCF and IRR examples to choose from. This is a monthly forecast that includes the three financial statements and models cash flow on a rolling month-to-month basis. This template is suitable for professionals working in private equity or anyone evaluating acquisition opportunities. It includes, DCF, IRR, sensitivity and more. 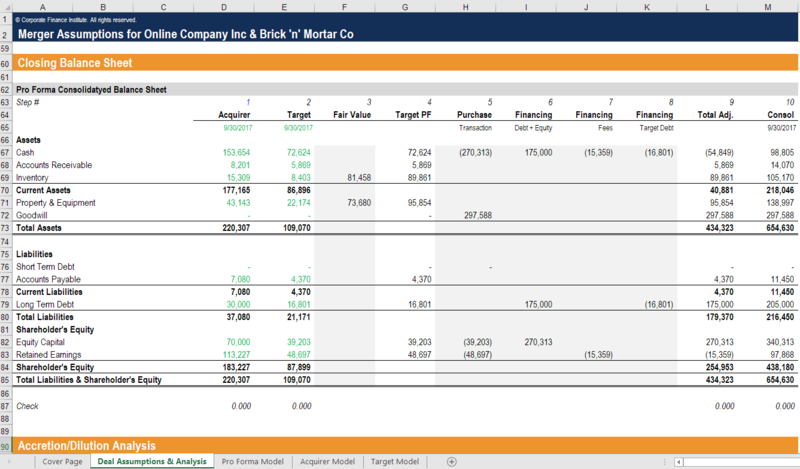 This real estate financial model template is build for a development project and includes absorption, cash flow, debt modeling, a cash flow waterfall, and the internal rate of return. This spreadsheet is designed for an e-commerce business and centered around a case study of a startup company. It includes detailed assumptions, link statements, DCF, customer metrics, and more. 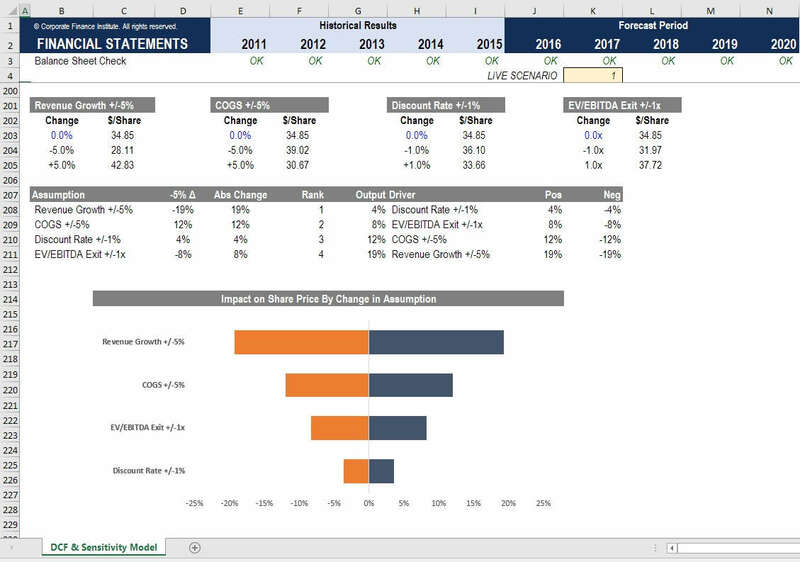 The sensitivity analysis spreadsheet has detailed scenarios and sensitivities using several methods such as direct, indirect, data tables, goal seek, and a tornado chart. 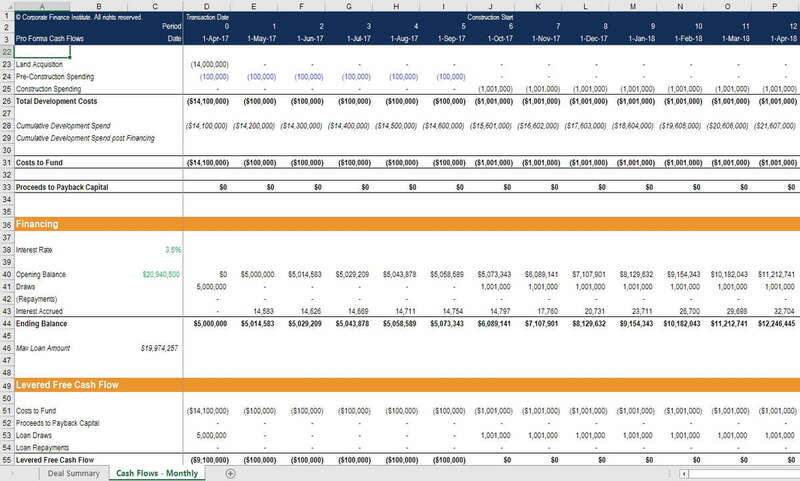 Suitable for professionals in investment banking and corporate development this spreadsheet integrates two businesses and generates pro forma financial statements, rates of return, DCF, synergies, and accretion dilution analysis. The detailed LBO model includes fully developed financial statements, multiple operating scenarios, debt modeling, credit metrics, a DCF, cash-on-cash and IRR for all investors, and sensitivity analysis. What's included in this financial modeling templates course? Are these financial modeling templates part of the Full Access Bundle? Yes! 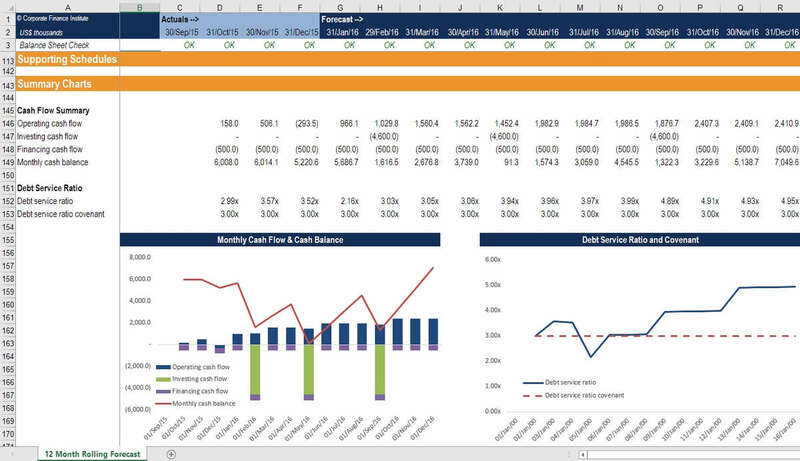 We highly recommend purchasing the Full Access Bundle, which includes all these financial modeling templates, AND instruction on how to build financial models from scratch in Excel. We will also cover the accounting fundamentals and financial skills required to build these models yourself. 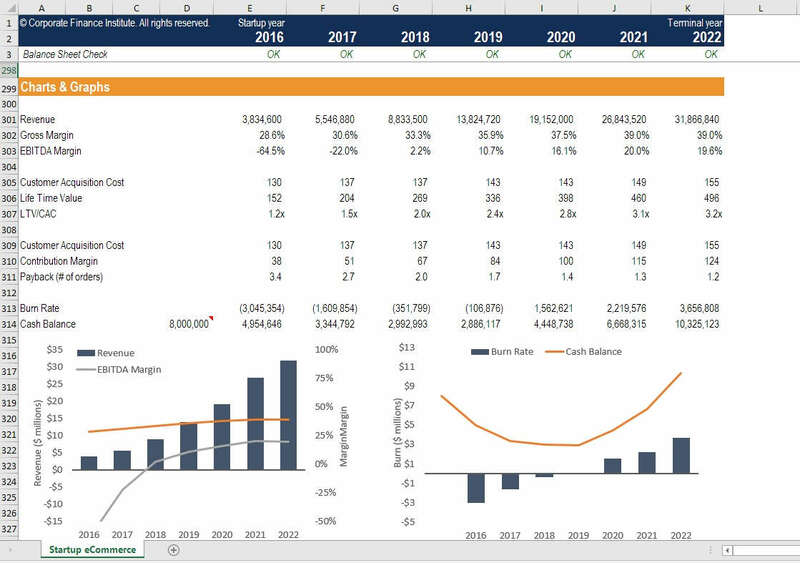 Does this financial model templates bundle offer any certificates? No. To earn certificates you need to enroll in the Full Access Bundle, which includes all these financial model templates.